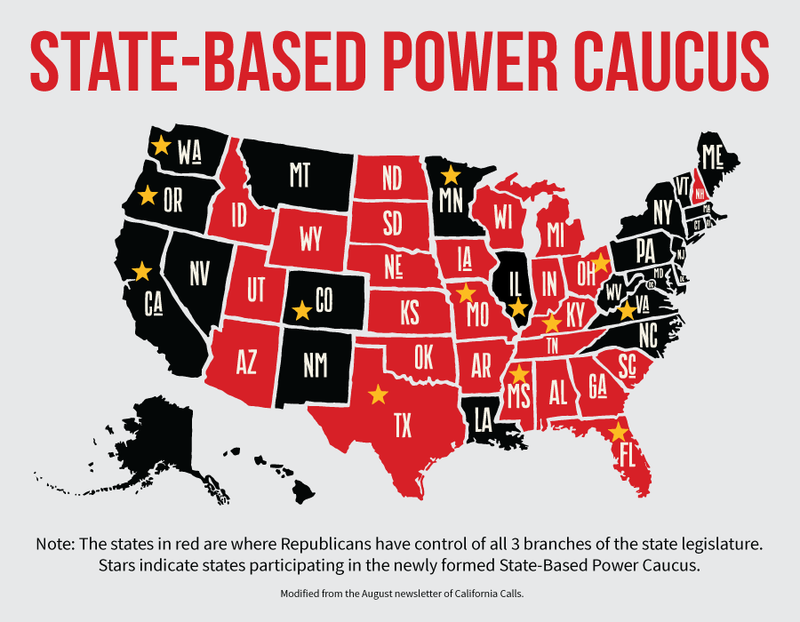 In July 2017, twenty state-based organizations from thirteen states united to form the State-Based Power Caucus. These groups have racial justice and class politics. Most have reached a scale of some significance in their states and are members of bigger political alignments or coalitions in their states. Below is the concept paper for the Caucus. We are living in what is likely one of the most consequential moments of American history. It is true, the political ideologies and forces contesting for power are not new, and the dominant themes of division, resentment, exclusion, and resistance are well-tested reminders of other moments of struggle. Still, this moment is distinct, future direction is wildly uncertain, and the implications of our actions in this moment are particularly serious. We face an existential threat more profound than the daily, headlines grabbing buffoonery or mocking commentary suggest. Decisions being made today, institutions dismantled, and promises withdrawn put at peril all that we hold dear. At risk is our still emerging democracy, the promise of a sustainable and equitable economy, a just society, and a survivable environment for our descendants. We can all be proud of and encouraged by much of the response – organizational, personal, and popular – across the country. The spirit of resistance is high, contagious, ambitious, and progressive. At the same time, we are collectively more alarmed than focused, and the toll of sustaining daily outrage is visibly heavy. As admirable as the collective efforts are, the strategies of resistance are likely as insufficient for reversing today’s threats as the previous decade’s strategies were inadequate for preventing them. In this most consequential moment, we who care about social justice are tasked with the uncomfortable and invigorating responsibility of honest assessment, generative evaluation, and creative strategizing. The voices represented in this paper believe we have the opportunity and responsibility to build new, unifying progressive power that reflects our shared values and realizes our common purpose. While we appreciate other aligned efforts, we offer here an intention for what we believe is a distinct and essential element of a shared strategy. We are designing and developing a Caucus, an association of organizations and allies focused on building progressive, independent, state-based power. While we value the many issue, identity, or strategy centered approaches, we propose that building multi-issue, multi-constituency, grassroots political power at the state level should be a shared imperative. States are the fundamental foundation stones of our particular form of democracy, peculiar vessels through which our government and governance is run. They are also frustratingly different, require informed assessment and home-grown strategies. We cannot create effective state strategies from remote locations, using standardized prescriptions. The Caucus will host a conversation to engage practitioners and supporters from state based organizations and allies. We will strive to be vision oriented and pragmatic, deeply unifying, diverse, and dispersed. We will promote deep evaluation, creative experimentation, and rigorous testing. We will push forward the art and science of organizing for progressive, independent, state-based political power. In this most critical moment, we will reach for new strategies, rooted in familiar truths, sufficient to face to peculiar threats and uncommon opportunities of today. We (using the term broadly to include liberal/progressive/left forces) are in a turning point moment with the Rightwing/Corporate Forces controlling all 3 branches of government, having governing trifectas in 25 of 50 states (i.e. control of governorship and both houses of state legislatures), and needing only 6 more state trifectas to be able to convene a constitution amendment convention. It’s also worth noting the even more sinister possibility of an authoritarian subjugation of the institutions of a bourgeois democracy (Trump’s attempts to tame the media, congress, the intelligence apparatus, etc.). Much of this is fueled by an aggressive reactionary agenda being pursued by a group of extreme rightwing billionaires. The danger this presents is rolling back liberal/left progress 80 years or more (using the labor movement victories and the New Deal in the 30s as a benchmark), potentially setting back human development for decades if not half a century or more. In the worst case scenario there is the potential to ruin our planet and put the entire human experiment in jeopardy. Mass demonstrations and protest, and in a small number of cases direct action, focused on resisting Trump writ large (i.e. the women’s mass actions), or around specific Trump assaults (i.e. immigration, ACA, etc.). Issue campaigns utilizing traditional advocacy/lobbying and in some cases mass actions typically around a single issue (ACA/Healthcare, Immigration, Environment, Criminal Justice, etc.). These campaigns involve the usual advocacy/lobbying tactics (i.e. phone calls, letters, petitions, delegations, social media calls to action, etc.) aimed mainly at federal and state elected officials. Various national “tables” have either emerged or refocused themselves to resist and fight back against the Trump agenda. Renewed “Master Plans” to elect progressive candidates in vulnerable or swing congressional districts, with sometimes a focus on state level offices as well. Many of these responses seem to be tactical and not strategic. They are about registering opposition to Trump, slowing down his agenda, and/or making his agenda less bad. Or they continue to pursue a one-dimensional view of political power, the election of progressive candidates. All of this is not wrong, it’s just insufficient given the long-term consequences of right/corporate forces consolidating their current positions of power. National unions with affiliates and state/local labor federations across the country with millions of members. A number of large & small liberal/progressive funders, funder associations, and liberal major donors. Mainly DC-based, or state-based-based, national advocacy organizations primarily (though not exclusively) focused on a single issue, national think tanks/research institutes, national communications and social media groups. Progressive Media both new social media and traditional media forms. It’s worth noting that some major corporate forces have weighed in significantly against parts of the Trump agenda that impacts their ability to secure labor (skilled and unskilled) and/or accumulate profits globally. Google, Apple, Macy’s and many others have pushed back on aspects of the Trump agenda. At least 4 or 5 national community/electoral organizing networks with state-based and/or local affiliates. Many issue/constituency-specific social movement organizations and networks that have a national presence (e.g. immigrant, criminal justice, the environment, women’s issues, racial justice, youth organizing). Serious state-based long-term electoral/power-building organizing efforts in a dozen or more states. Some are affiliated with national networks, some are not. 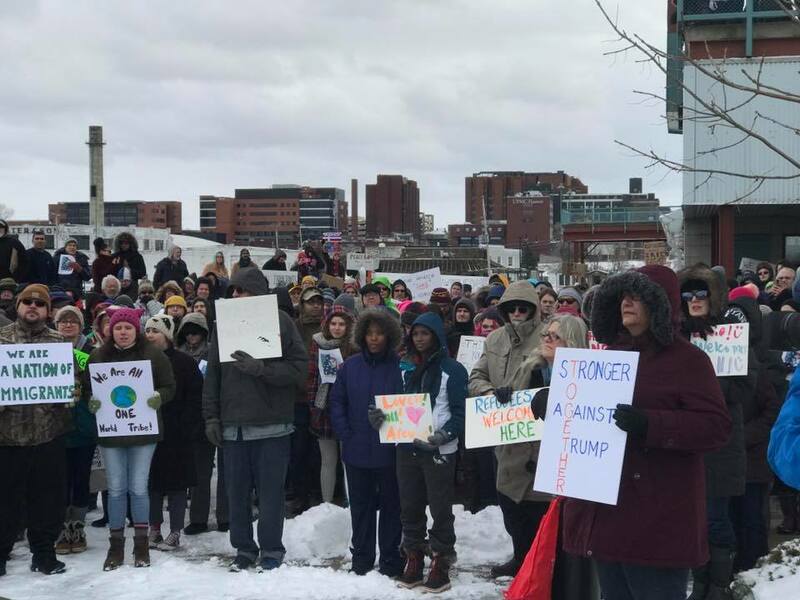 Thousands of small, mainly community-based groups organized around issues of justice (racial, economic, social, environmental, gender, to name a few). The first list are most often considered the liberal/progressive power players because of their ability to weld actual political power at scale (i.e. organized presence in cities, counties, states) financial resources, social sectors and the number of individuals they have the ability to influence the thinking and behavior of). Those of us on the second list tend to mainly be marginal or tactical players at best in the big scheme of things (though we all would like to think differently we tend to be powerful only in relation to each other). The Trump Era presents an existential threat and opportunity to the most progressive and strategic on both lists. The traditional liberal/progressive power players cannot prevail doing the same old same old. The rejiggering of tables with essentially the same players and launching issue campaigns using the same traditional tactics will produce the same inadequate incremental results except this time in reverse (slow down and mitigate damage). The opportunity is for these power players to recognize that a purely insider strategy cannot win and that the building of powerful, organized grassroots movements are essential to success. The organized community/electoral organizing sector will remain too small to have any real impact if it continues to compete within itself for who can build the biggest empire on the margins of a national power analysis. The opportunity is for this sector to get in the game (meaning relevance in the national power equation) by forging strategic collaborations that organizes and mobilizes a progressive mass base at a scale that makes a major contribution to achieving governing power at the state and national level. While the scope and scale of the mass protests are impressive, if they fail to incorporate a political organizing and power-building dimension they will end up looking similar to others in the recent past (2006 immigration marches, Occupy Wall Street, mass protests against police violence). The opportunity is for the major protest movements to develop political organizing strategies. The Republicans seek to squeeze to death municipal experiments in liberalism and progressive politics through their control of state legislatures. A segment of the Republican Party seeks to gain sufficient control of state legislatures such that they can convene a federal Constitutional Convention. The ramifications of such an action are potentially catastrophic. Thus, serious power building efforts at the state level aimed at systemic (not incremental) change, towards authentic justice and equality are essential for survival. A much clearer understanding of the concept of building governing power aimed at systemic change, and what’s required to build it on the part of the most developed progressive state-based power building efforts. A new kind of strategic collaboration or united front that involves the most advance progressive thought leaders and organized efforts from community organizing sectors and the sector of institutional players. 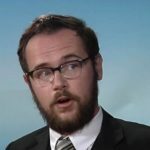 Is it possible to build a strategic united front among the most forward thinking of the left/progressive forces listed above? Such a formation may begin to approach the building of the kind of power needed to counter the reactionary forces arrayed against us, turn the current political tide, and regain the initiative in the epic battle we are engaged in. It plays into the pattern of gains made by the opposition party in mid-term elections after the election of new President without fundamentally changing the national power equation. It doesn’t really address the tidal social and economic forces that gave rise to Trump, and could give rise to an organized alternative aimed at systemic change. It doesn’t address the 20.3% loss of state legislature seats and the 35.7% loss of governorships since 2008 that was the engine of the rightwing takeover of Congress and winning the Presidency. It doesn’t address the strategic need to build governing power aimed at systemic change in the states beyond simply electing candidates. There is a current that, at least theoretically, focuses on state and local seats as well as federal ones, however most in this current still see political power as the one-dimensional electing of progressive candidates. It is not within the scope of this document to do a thorough critique of this one dimensional approach. Suffice it to say that progressives have pursued this approach for many years inside, to the left of, and/or independent of the Democratic Party. The results have been an ebb and flow of incremental changes insufficient to the types of major systemic change needed. Build from local to state. Intersect electoral and legislative arenas, which are fundamental for policy wins. Build an independent power base among emerging communities. Forge structures and attitudes for inside-outside strategies.Leverage moments for movements. A key premise of the idea of a state-based IPO Caucus is that the one dimensional approach of electing candidates is an inadequate power building strategy to contend with the forces of the Trump Era, and that serious progressive state-based power building efforts must think together about a more effective multi-dimensional approach. 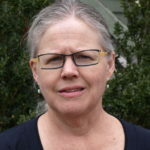 The belief in a common theory of change among those initiating the caucus experiment that the direct organizing of those social forces suffering most from current economic and social injustices are fundamental to achieving the deep, structural, and systemic change needed to address those injustices. Traditional power players are part of the power equation, but without an independent, bottom/up, organized, grassroots movement of these social forces progress towards the systemic change required will be limited, incomplete, and inadequate – and we will not succeed in addressing the existential threat facing us. While the many social justice organizing/mobilizing efforts at multiple levels are key pieces of the power building puzzle, no one, or small group of, organizations or networks can build the kind of power needed to achieve the deep, structural, and systemic change we seek. We must develop a movement-building approach rather than an empire-building approach to building power. Settle for being the loyal opposition with misguided notions of purity. Many of our social justice organizing efforts, and perhaps our movement as a whole, have become stuck (and in some cases trapped) in a political culture dominated by the sub-bullets of point C above. For the grassroots, social justice organizing sector to realize its power building potential in successful contending with the current configuration of rightwing and opportunistic corporate forces requires breaking out of the current restraining culture, pioneering new strategies aimed at governing power, and building new kinds of strategic relationships. Making political cultural change, breaking out of old patterns, establishing new habits, exploring new strategies are hard. An endeavor centered with serious, bottom/up state-based power building efforts across established networks, in collaboration with like-minded movement allies is a worthy experiment to contribute to achieving such cultural and strategic change. The intent of this experiment is not to create a new national network, or replicate/compete with existing efforts at state or national levels. It is to contribute to the premise describe in points E above: breaking out of the current restraining culture, pioneering new strategies aimed at governing power, and building new kinds of strategic relationships is essential to successfully address the existential threats facing us. What does the governing power to move beyond small, incremental change to winning deep systemic change look like? What’s our vision of deep, structural, systemic change? What ae the Key Elements of Governing Power? Where are we now in terms of Governing Power? What does/will it take to build Governing Power? What is the role of Independent Political Organizations? What does effective inside/outside strategies look like? How do we raise independent resources (501c3 and c4) at the needed scale? How Do We Balance Organization-Building Needs with Movement-Building Needs? How to address the contradictions of the Nonprofit Industrial Complex? How to address Issues of Race, Gender, Class? 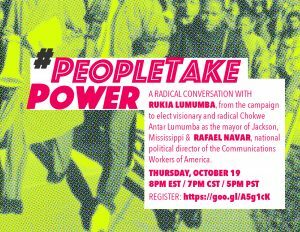 What is the strategic relationship between mass action/protest and building political power? How to incorporate and do effective Political Education and Leadership Development with Staff and Leaders, with Base, in society at large (the battle of ideas)? It should be noted that this purpose is not about designing and launching campaigns. There are plenty of efforts thinking about and doing that. The assumption is that advancing the theory and practice of governing power will make campaign efforts more strategic and effective in achieving the deep systemic change we seek. Recognition of the Existential Threat, what kinds of collaborations/united fronts are required at this moment, recognition that the kinds of required collaborations/united fronts changes as conditions change. Recognition that we need each other, none are powerful enough to prevail alone, no one has the complete answer to building the power we need. Recognition that we need to involve Multiple Movement Sectors (grassroots social justice organizing, traditional power players, etc. ); and that attention needs to be paid to equitable power relations. Multi-year Commitment and Plan. Beyond Short-term, Tactical, Transactional Relationships. Not Campaign-Driven. Clear Points of Unify, AND Points of Agreeing To Disagree. Movement-Building Rather Than Empire-Building Approach. None of us should be aiming for hegemony. The ambition of this caucus purpose is to create momentum among state-based efforts, national networks, and traditional power players toward the kinds of political cultural changes and exploration of new strategies essential to successfully address the existential threats facing us. There should be a formal state-based power building effort, ideally with representatives across national network affiliates. The state-based effort should have a substantial body of electoral or civic engagement work, and be focused on long-term governing power-building, not just campaigns or electing candidates. The organizations should also be engaged in long term organizing and leadership development. The organizations should have significant leadership committed to achieving systemic change toward authentic economic, social, racial, environmental, and gender justice. This includes executive directors, board leadership, and member organizations. The organizations should be working with an anti-sectarian approach to replace neo-liberal Democrats with Rainbow Democrats. Not in all races (tactics) but as a strategic orientation. If there are multiple constellations of organizations or networks within a state priority should be given to formations that are most aligned with the politics described in criteria 4, and include participants across national networks. The majority of caucus organizations should have their work centered with voters of color. Their staff should reflect the same. The caucus will favor organizations from states that are of critical electoral significance and /or where a rising new majority (women, people of color, youth, the poor) are a growing a powerful bloc of voters. The caucus will also include state-based efforts building power among low-income and working class communities as a critical piece of the power building puzzle. The caucus should include a critical mass and diversity of states so that its analysis is deeply and broadly rooted. This could include a core state-based efforts with sufficient development and potentially guests from states where state-based efforts are in development. The caucus should balance having sufficient bottom line agreement on political analysis and theories of change with having a critical mass of state-based efforts to accomplish the caucus’s two purposes. The work of the caucus is best served by tighter alignment and clarity. 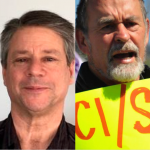 The caucus should also include representatives from aligned national community/electoral organizing networks, and a mix of left movement intellectuals, intermediaries, institutional allies, mass movement leaders, and funders who agree with the systemic change goals articulated in criteria 4, and are all vital to the long term success of this project. Actual representatives at caucus meeting should strive for at least 50% women’s representation as well as a majority of people of color. The voices represented in this paper believe we have the opportunity and urgent imperative to build new, unifying progressive power that reflects our shared values and realizes our common purpose. We appreciate many other aligned efforts. We offer here an intention for what we believe is a distinct and essential element in building the type of powerful movement required to contend with the forces arrayed against us, regain the initiative, and push forward the US experiment in achieving a sustainable and equitable economy, a society based on racial and social justice, and a survivable environment for our descendants. Some of us in DSA in Montana are interested in organizing coalitions along these lines. We once had one, MAPP/MontCEL in the ’80s and ’90s, the last time the legislature was not dominated by Republicans. A fair number of us won’t get directly involved in the Democratic Party, but are not opposed to running and/or supporting viable and progressive candidates on that ballot line. Besides, the national party’s brand is so damaged it does us no good here. Thus independent political capacity needs to be built to gain power at the local and state level. It would be helpful if you published a roster of contact information for all 20 organizations so that we could contact them about how they are organized. Please share contact info for the state organizations. Information about the state organizations will be available shortly.